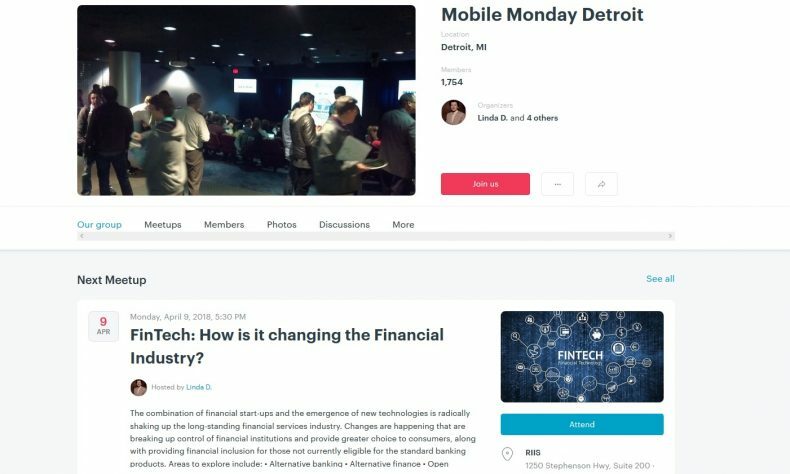 TROY — The next meeting of Mobile Monday Michigan will explore the intersection of the finance industry and high tech. The combination of financial startups and new technologies is radically shaking up the longstanding financial services industry. Changes are happening that are braeking up control of financial institutions and provide greater choice to consumers, along with providing financial inclusion for those not currently eligible for the standard banking products. Areas to be covered include alternative banking and finance, open banking, blockchain, bitcoin and more. The event runs from 5:30 to 8 p.m. It’s free to attend but advance registration is required via Meetup at https://www.meetup.com/Mobile-Monday-Detroit/. Refreshments will be served courtesy of the event’s host and sponsor, Research Into Internet Systems (RIIS), http://riis.com. Free parking is available. RIIS is at 1250 Stephenson Highway, Suite 200, Troy. Mobile Monday Detroit is a program of the Mobile Technology Association of Michigan (http://gomobilemichigan.org/). Speakers are to include Adam Coyle, executive partner, Siris Capital Group, and Michael Marsalese, managing member and attorney, The Marsalese Law Group. Coyle has more than 25 years of experience in the financial technology industry in a wide range of executive roles. Siris is a private equity firm focused on investments in the technology sector. Prior to that, he spent five years as head of mergers and acquisitions and strategy for Vantiv Inc. (now Worldpay), where he was responsible for more than $3 billion worth of acquisitions that made Vantiv the largest payment processor in North America. Coyle joined Vantiv from Advent International, a private equity firm, where he was an operating partner focused on opportunities in the financial services and transaction processing sectors. Prior to Advent, he had a variety of senior leadership roles at First Data Corp., including president of First Data’s Integrated Payment Systems group and general counsel for Western Union North America. Marsalese has served as general, special or local counsel to many privately held companies. He has been actively engaged in commercial litigation, with strong emphasis in securities-related matters, for more than 33 years. The Marsalese Law Group counsels clients on FinTech matters including data protection, regulatory compliance, capital raising, consumer protection, commercial contracts, M&A and corporate finance matters, and has assisted its FinTech clients with crowdfunding, e-payment platforms, crytocurrencies and digital banking opportunities.